The University of Chicago offers G Suite to all faculty, students, and staff to help accelerate productivity, increase collaboration, and simplify your digital life. Gmail provides gigabytes of email storage, highly effective spam filtering, and powerful search. Forward your UChicago email address to Gmail now. Create documents, spreadsheets, presentations, and more. Invite others to collaborate in real-time. You can store them in Drive; you can store them in Box; you can print them out and store them in your sock drawer. It’s up to you. Upload, store, and share any file type. UChicago users get unlimited storage, so feel free to put store even your largest files and videos online. What can we say? It’s a calendar. But it does make for simple scheduling, tracking, and management of meetings and events. Need a website? Google Sites is an easy way to develop and customize simple websites, with no HTML required.  Need help with G Suite? Check out Google’s robust help site for tips, tricks, known issues, and more. Using your CNetID and password, you can log into the UChicago G Suite for easy accessibility and collaboration. G Suite provides you with 25 Gigabytes of storage for email and unlimited storage for documents. For more information, see the G Suite entry in the ITS services catalog. How do I forward my @UChicago email address to Gmail? All UChicago users will be given the option to forward their @uchicago.edu email adress when they first claim the CNetID. If you don’t have a CNetID and need one, check out https://cnet.uchicago.edu. If you have a CNetID and want to add or change your email forwarding, visit our email forwarding page. Can I use Google Hangouts with UChicago Google Apps? Unfortunately the UChicago Google Apps agreement does not include Google Hangouts. What information can I store on Google Drive? Data privacy is very important to UChicago, and that includes information stored on cloud services such as Drive. IT Services, in collaboration with our campus partners, has created a Data Usage Guide to help the campus community better understand what data is approprate to store where. If you have questions or concerns about storing data in the cloud, take a look at Data Usage Guide for more information.